Welcome back, fellow Sandbox Summit Alum! I know you’ve spoken at the event before regarding your work on Animal Jam. 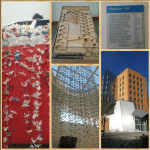 Can you share a bit about your history with MIT’s Sandbox Summit, and your previous experience? Sandbox summit is a great forum of Creative Professionals from the Kids’ Entertainment and EdTech worlds. 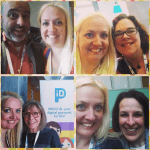 This is one of the more inspiring conferences I attend – all of the attendees are so invested in making high-quality content for children and families. You really get to engage with high integrity folks at this show. Following the conference on Twitter was great (#Sandbox2015) — and it seems to have really blossomed this year! Can you share any high-level insights on the conference overall from last year to this year? I think everyone has completely embraced the APP world at this point – that seemed to be the biggest platform of discussion. It was more about how we can leverage this medium for more engagement, fun, learning, play, etc. The Maker movement was another theme that recurred – robotics, circuitry and other tinkering sorts of activities were prevalent in many of the demos. I LOVE the theme this year — ‘Imagining a Playful Society.’ There seemed to be a stronger app/game approach to the conference. What interesting products or speakers did you see that support the approach of using games to inspire play? “Play” was a great way to engage the audience of the conference. There were a couple audience participation moments – a room full of execs playing patty-cake, and a full-room dance party were definitely both memorable moments. There were also some thoughtful conversations around AR/VR and if/how/should they fit into gameplay. Also – if you haven’t checked out Caine’s Arcade yet – click NOW and watch this. There were a few big content themes this year: Education (as always), Health, and Digital Usage. Please share a bit about how you saw these areas fit with the overall “Imagining a Playful society” theme? Education is always a big theme at Sandbox, but expressing how FUN and PLAY could fit in is important. When are games right in the classroom, how to incorporate into curriculum and how to measure efficacy were all topics of discussion. Google Play Store did a great presentation discussing the tools and resources they have for app developers. We (the community and social media folks) love the Play Store’s ability to respond to your app customers reviews – as it gives you a chance to thank them for your feedback or let them know you heard their issues and are working on them. In the mass market, we don’t always see the huge success rates with educational tech as we do with licensed entertainment products. What was the conversation like around educational tech this year? Seeing as these are the people who make and market those types of games – it was a positive conversation. That said, they are a practical and critical bunch. They do not accept the status quo, but rather keep wanting to push the industry forward. Many of them have come from the entertainment arena and have migrated to the educational tech space, so that spirit of fun/entertainment drives them as much as the learning. For the parents and teachers who could not attend – what do you think is important to knowledge to share from the Summit? Do you have any concerns that blossomed from the Summit for teachers? Parents? PlayScience released their new report regarding how parents show gender bias toward their child’s tech use. It’s definitely worth a read for both parents and teachers as they raise kids with the growing advancements and opportunities of digital products and technology. For those in the business of tech for youth/family – what would you say are the top take-aways from the event? Or products/people to look out for? 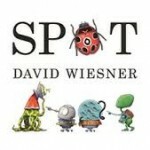 I have already downloaded the app Spot by one of my step-children’s (and husband’s) favorite picture book authors, David Wiesner. Also, I saw a very cool app/device management program from Intel called K-12 Blueprint, that should be especially helpful in those school districts utilizing the Bring Your Own Device (BYOD) model. It’s a program that can benefit many types of districts, including low-income. Is there anything else you’d love to share with us about the Summit? Just a shot out to one of the sponsors DonorsChoose.org. It’s a great site that I have been donating through for a while. It allows teachers and schools to set up Kickstarter-style campaigns for crowdfunding. The organization generously gave each attendee a $50 gift-card to help us start funding our favorite projects. I already have my eye on a couple great opportunities for my step-kids’ school. Previous Post It’s completely official now – I’m at Metaverse!